Even in record low temps, storytelling in Chicago continues to heat up. Join us at one of the hottest storytelling shows, Story Sessions, for a night of music, stories and art. 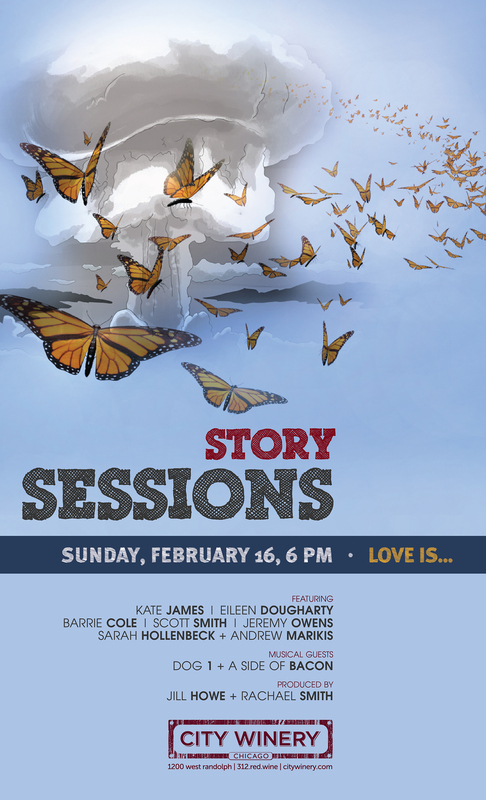 Appropriately themed for February, the “Love is…” features Eileen Dougharty, Barrie Cole, Scott Smith, Jeremy Owens, Kate James, Andrew Marikis and Sarah Hollenbeck.